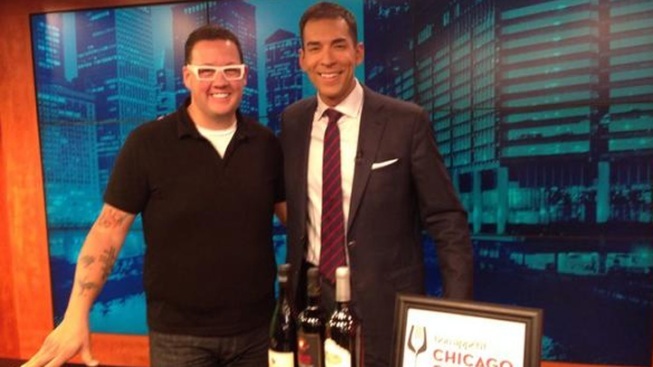 Celebrity chef Graham Elliot isn't only running in this year's Bank of America Chicago Marathon, he's also cooking for it. This purveyor of tasty creations who recently lost a bunch of weight, will show runners how to cook on Wednesday evening. Graham and Allie Elliot will provide a cooking demonstration and discussion at the Mariano's in Chicago's West Loop Wednesday themed around Marathon Training Dishes. Lollapalooza's culinary director takes us on a tour of Chowtown. The event costs $25 to attend and tickets are still available. Register here.